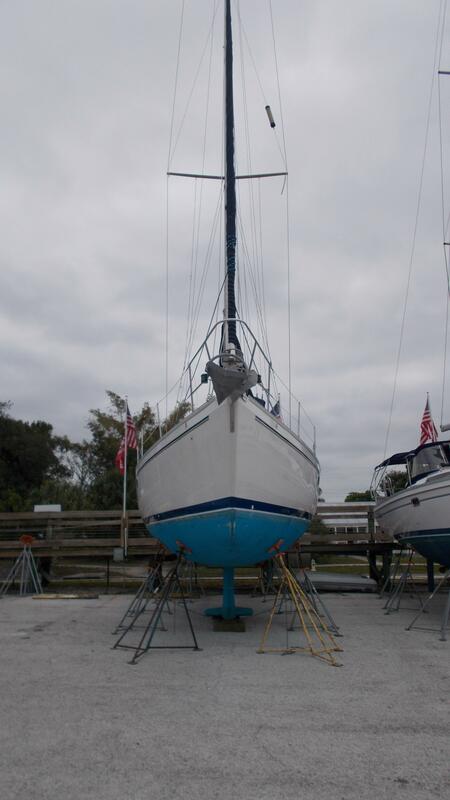 Built in the the 1st year of a production run of the most popular 40 foot sailboat ever designed…the Catalina 400 is an excellent price/value Features like a Solid Fiberglass Hull, shoal draft with Lead Keel, and Keel stepped mast insure "good bones" in this stiff offshore sailing machine. 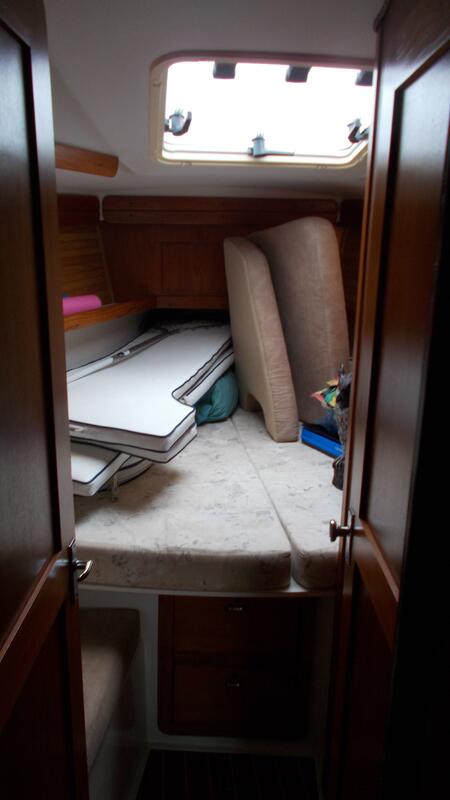 You don’t have to worry about a misaligned interior after an extended big water offshore passage. 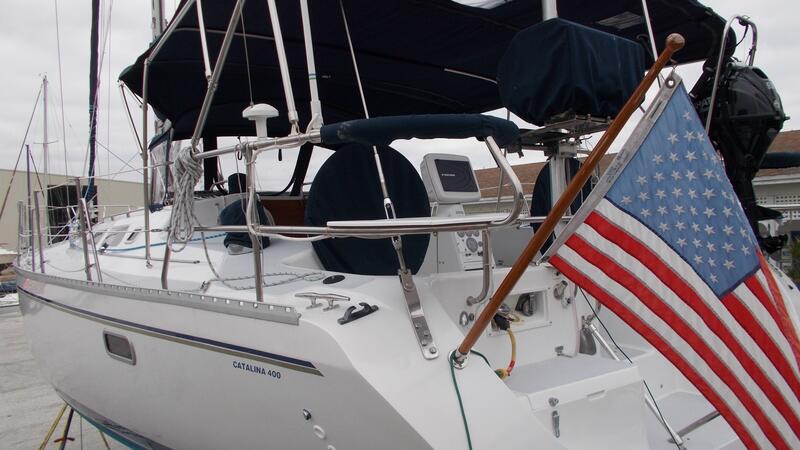 She’s built to sail with confidence and safety. 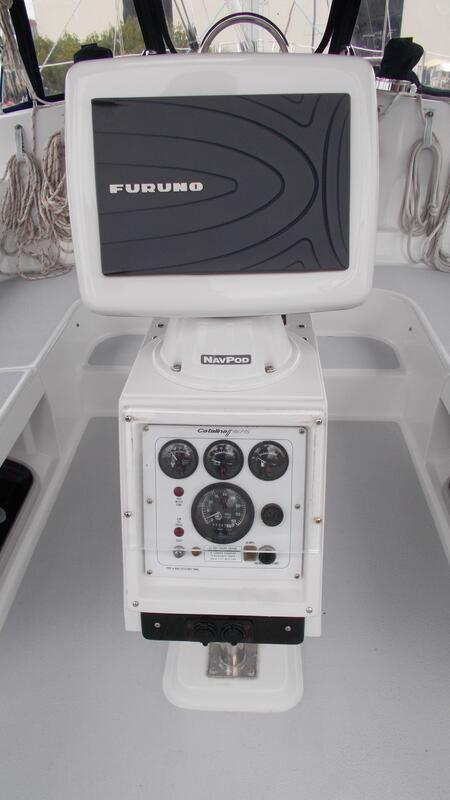 All new Furuno electronics installed in 2016. 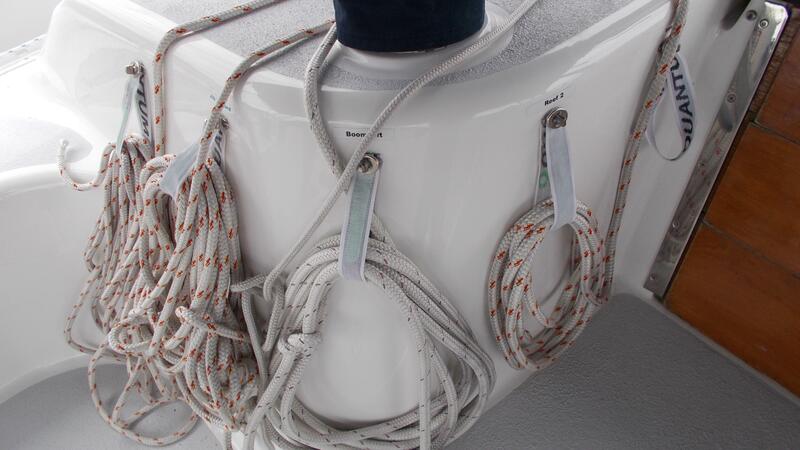 New standing and running rigging replaced in 2017 along with new stackpack and dodger. 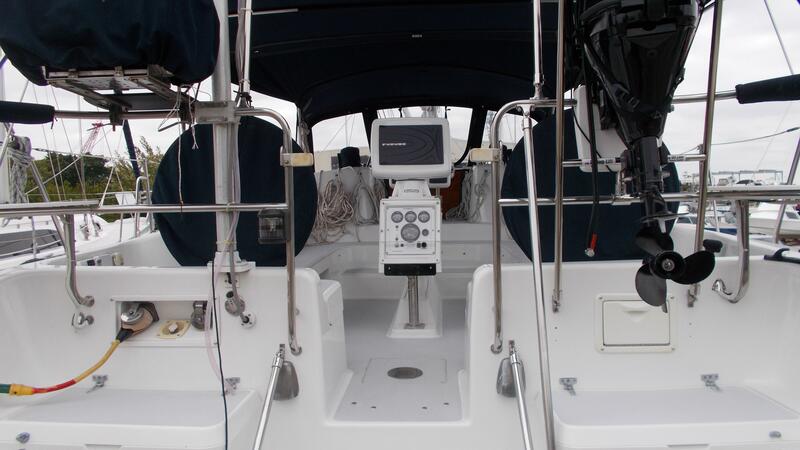 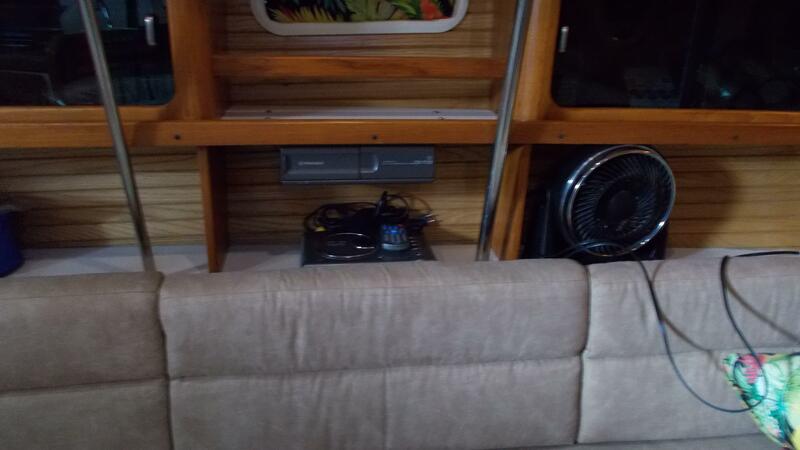 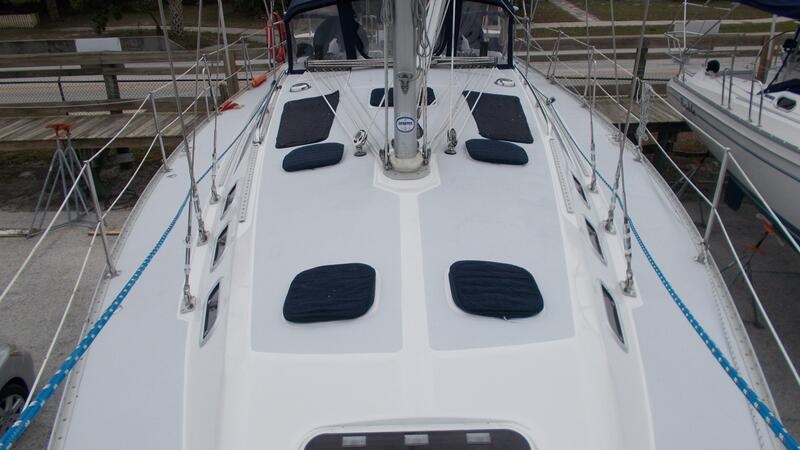 Owner added extra rigid support on bimini frame for the (2) 285 watt solar panels with Victron MPPT charge controller with blue tooth installed in 2017. 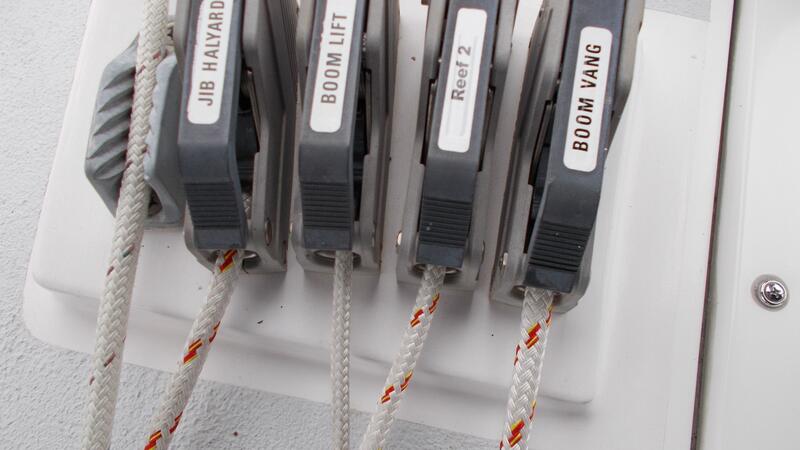 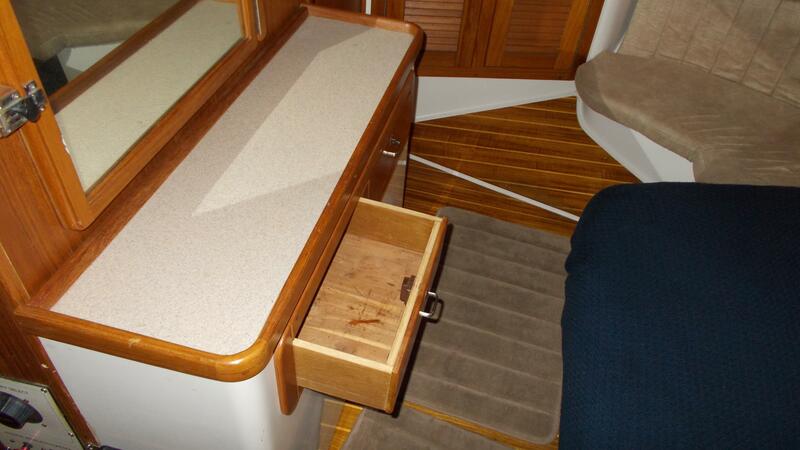 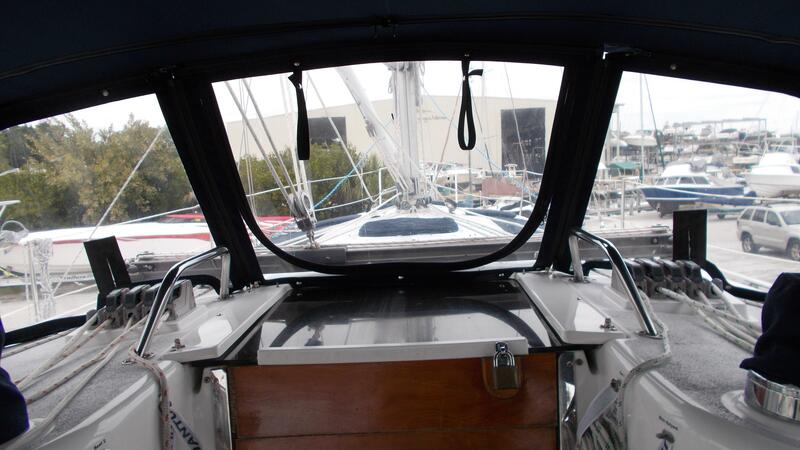 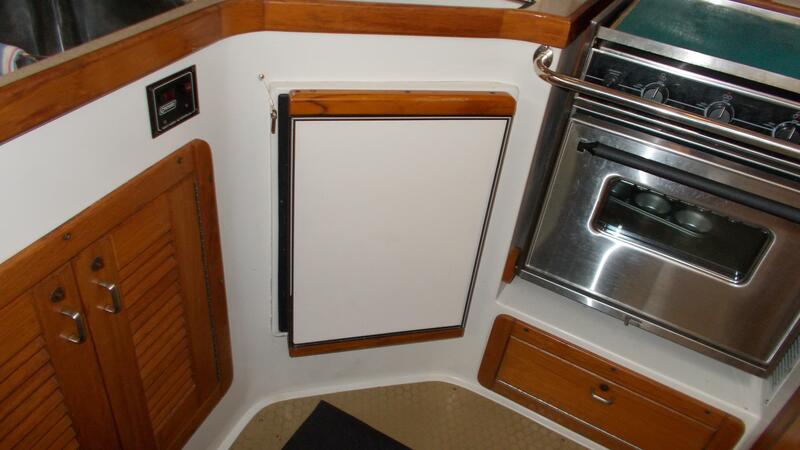 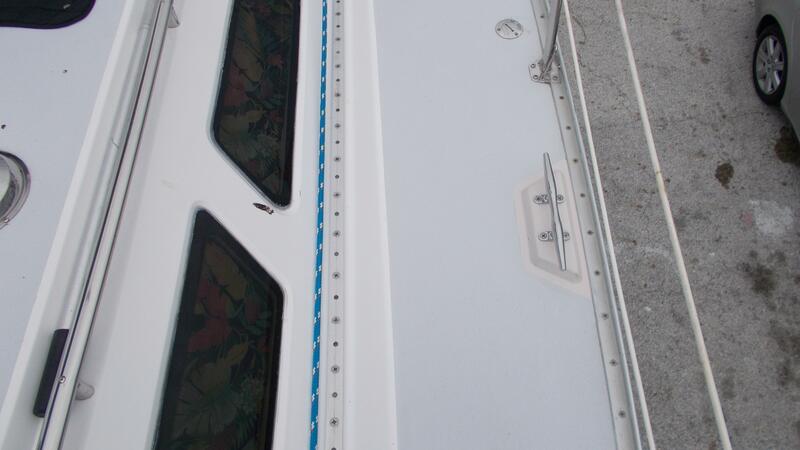 Extra zippers were also installed on the bimini at the time for future full enclosure. 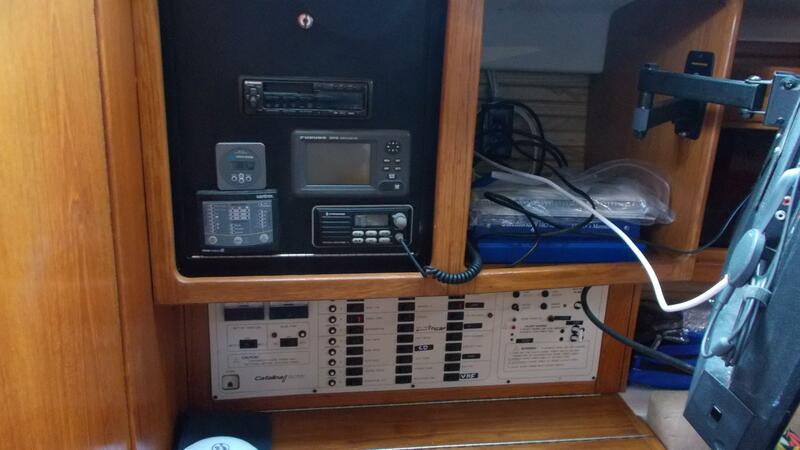 AIS transponder installed for added navigation safety. 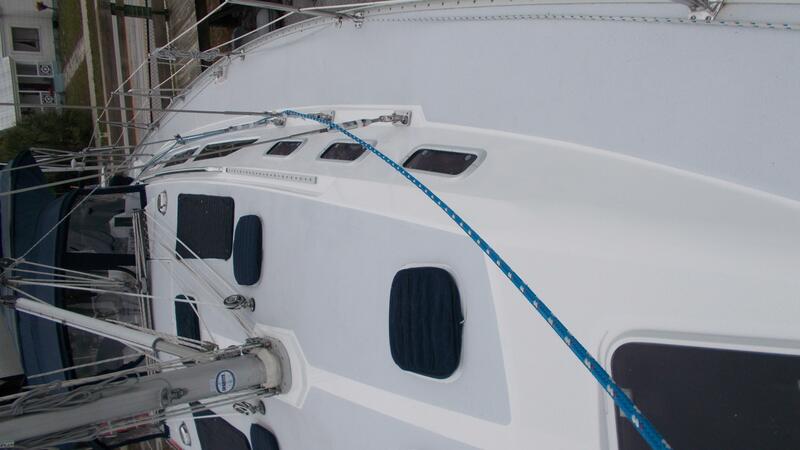 New bottom paint in 2016 and cleaned monthly, new bronze propeller installed at the same time. 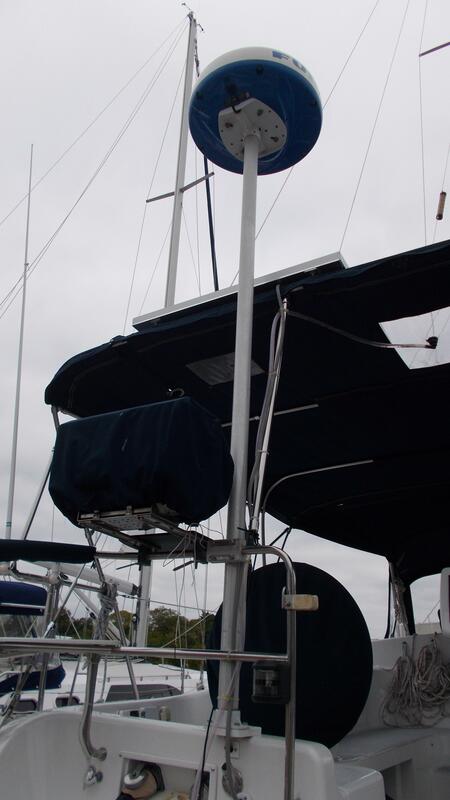 New VHF antennae was added along with replacing all in mast wiring and LED navigation and interior lights in 2017. 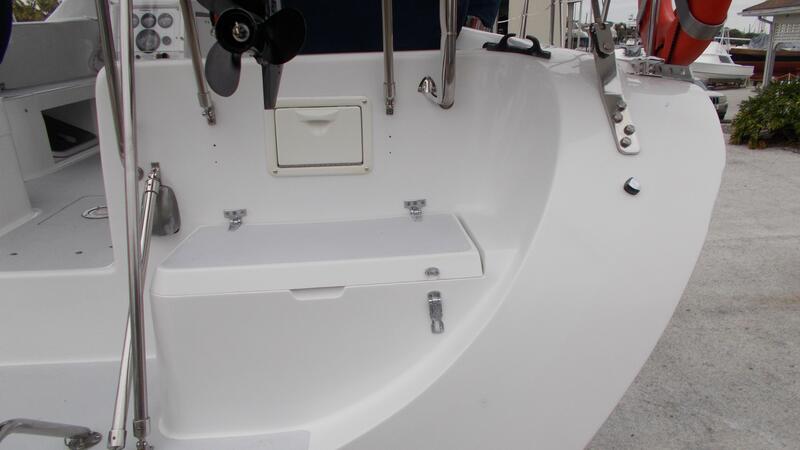 Brand new 9’2" Achilles dinghy with 9.8 HP Tohatsu outboard motor (less than 1 hour). 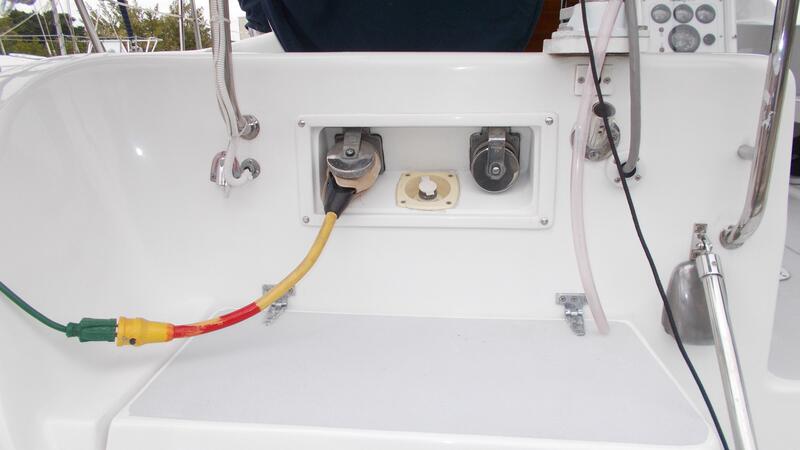 Note: Professional yacht brokers don’t rely on tiny yachtworld pics to ascertain a vessel’s condition and neither should you. 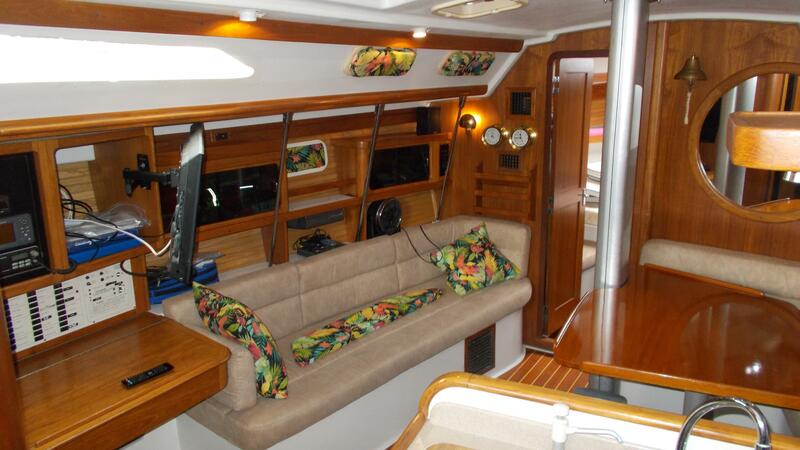 Contact the central agent to view 100 photos in crystal clear high definition. 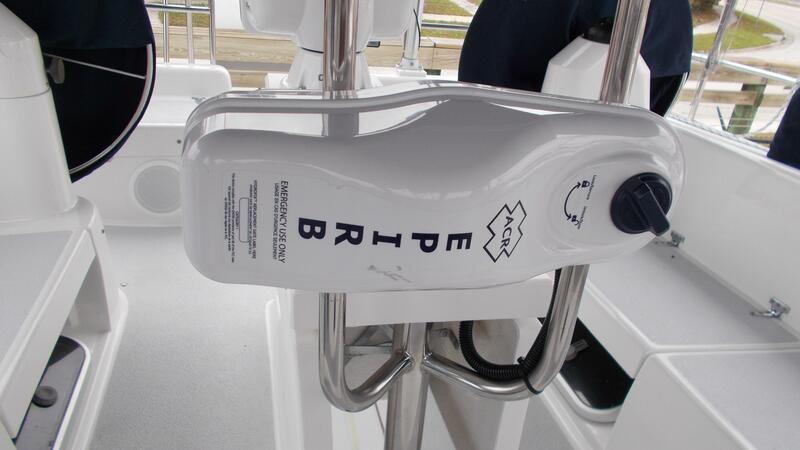 See before you travel. 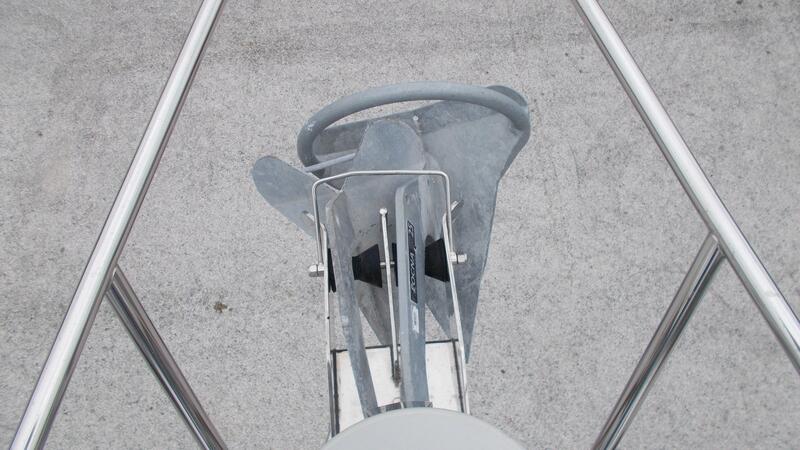 Solid single-piece FRP construction with externally attached lead wing keel followed by a spade rudder. 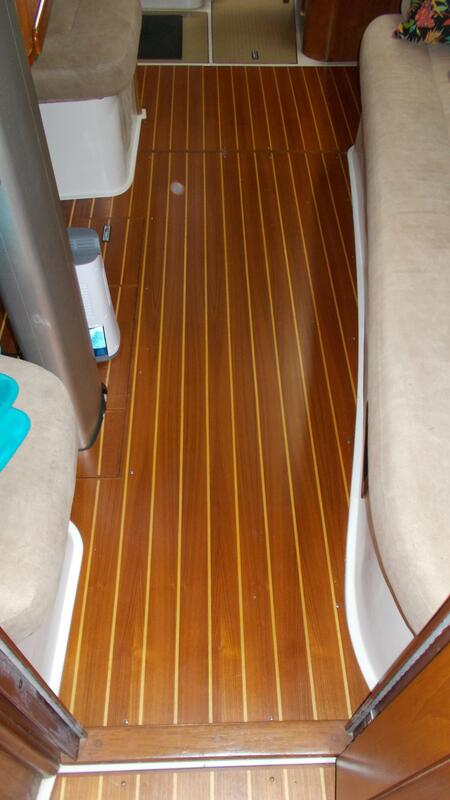 The deck is also FRP construction with end grain balsa coring, except in areas of high loads/stress, where the deck is a solid laminate with backing plates for deck hardware, which is then either drilled and tapped or thru-bolted. 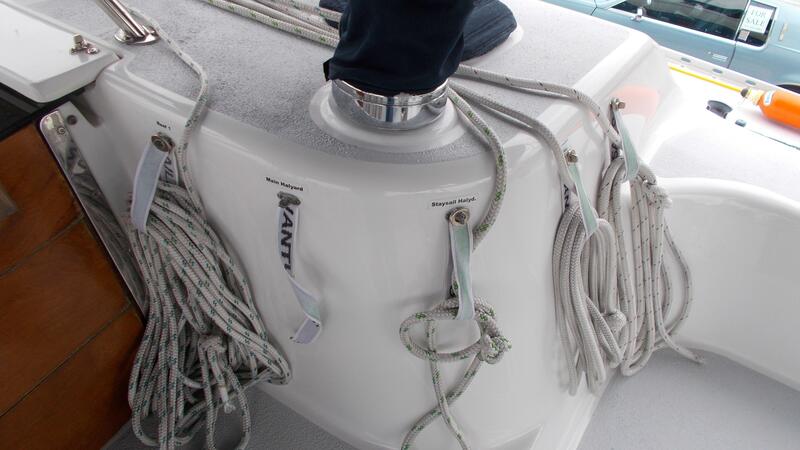 The hull-to-deck joint is done with an internal hull flange and the deck is then thru-bolted with the joint being covered by a slotted aluminum toe rail. 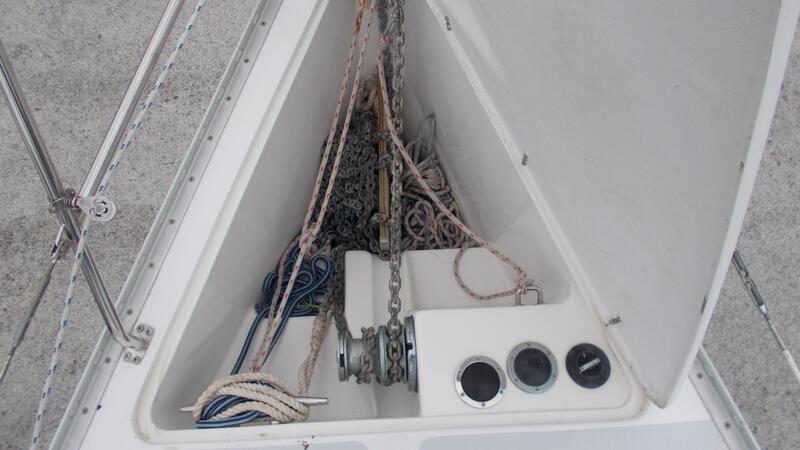 The chain plates are well inboard affording a tight sheeting angle to windward as well as making for uncluttered side decks. 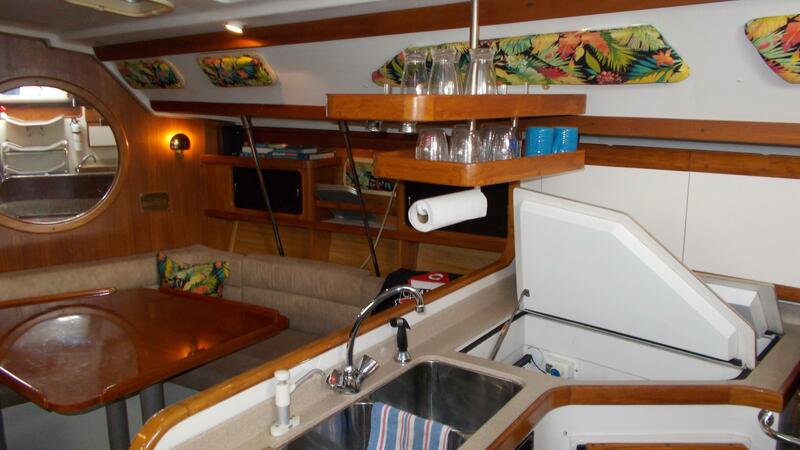 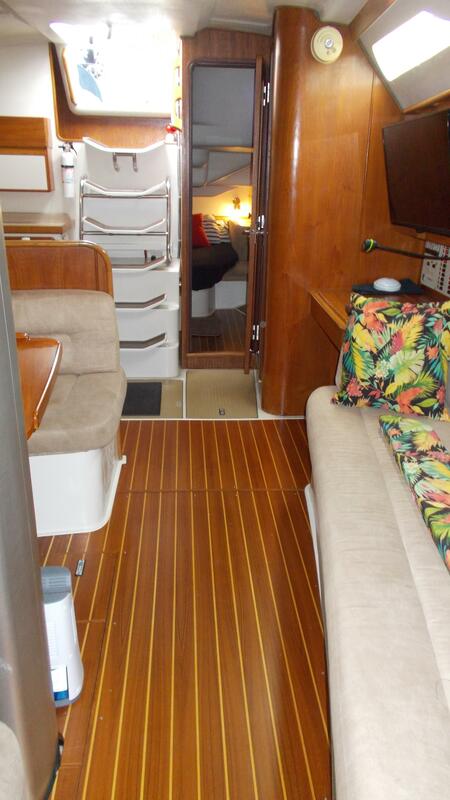 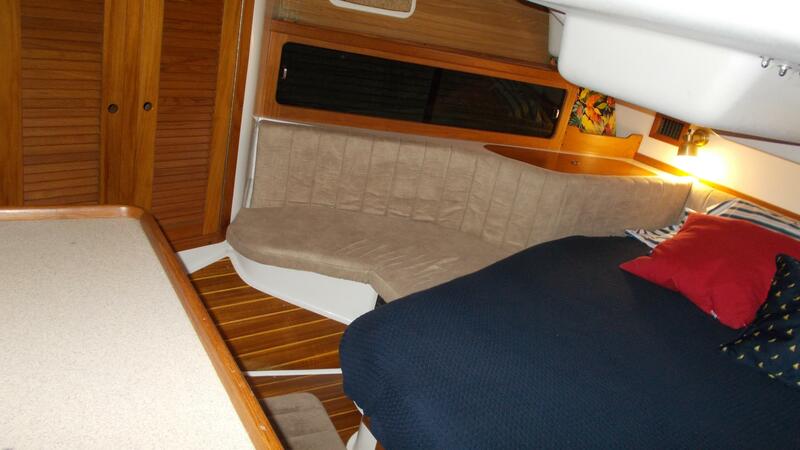 Tropical Texan has the preferred 2 head 2 stateroom layout with a huge centerline berth in the aft owner's cabin. 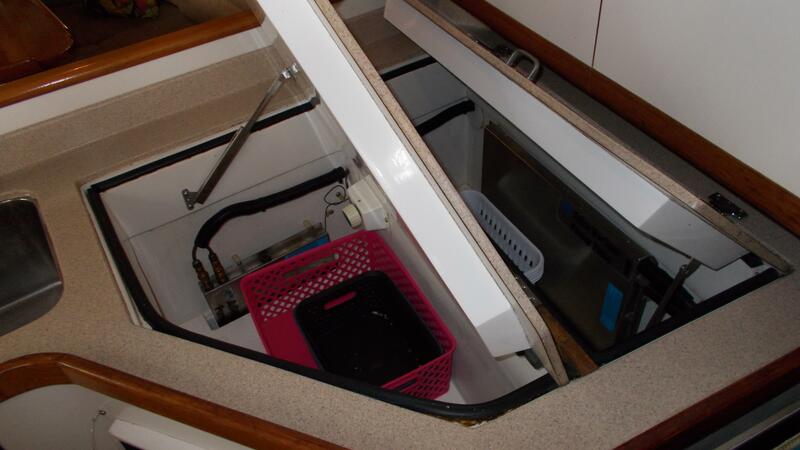 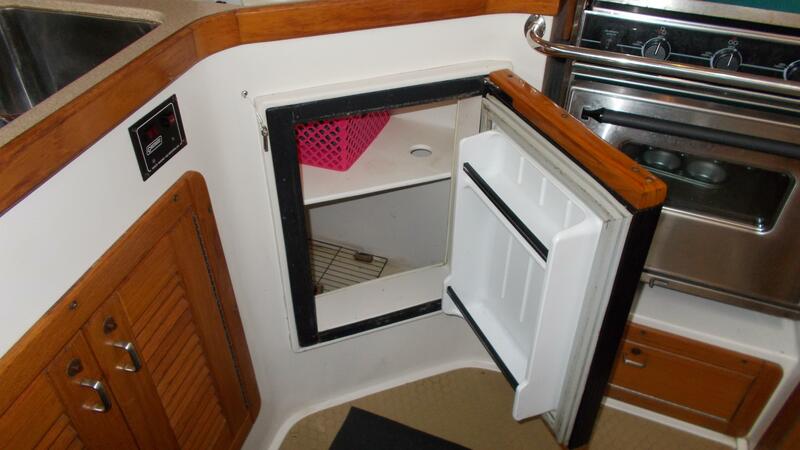 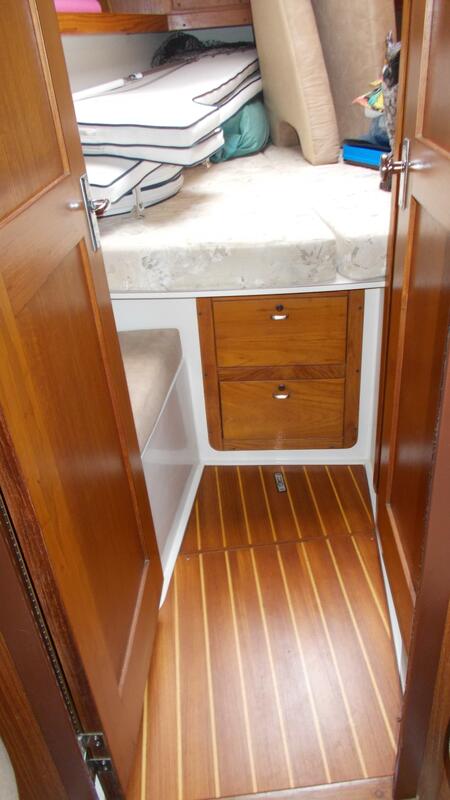 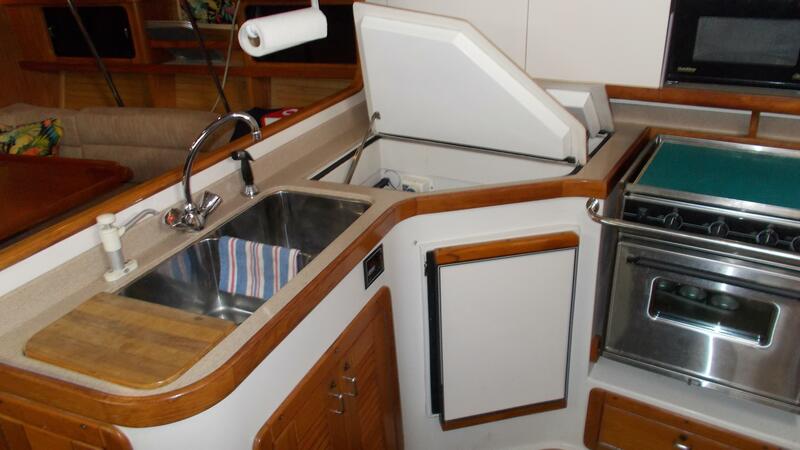 Both fore and aft cabins feature en-suite head and shower and lots of storage. 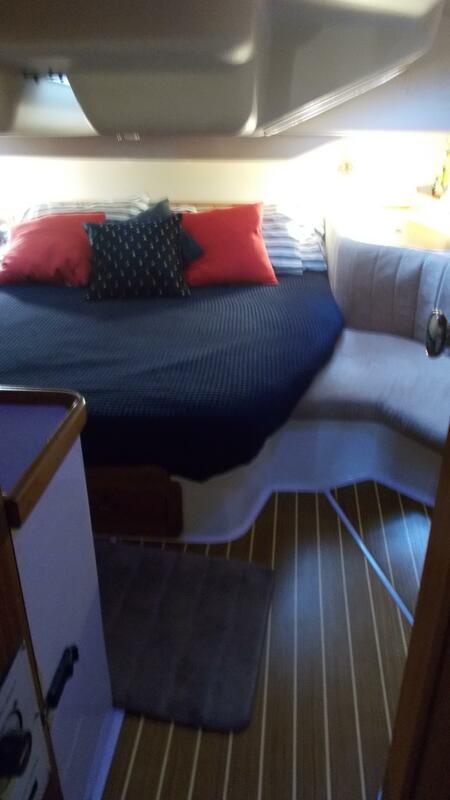 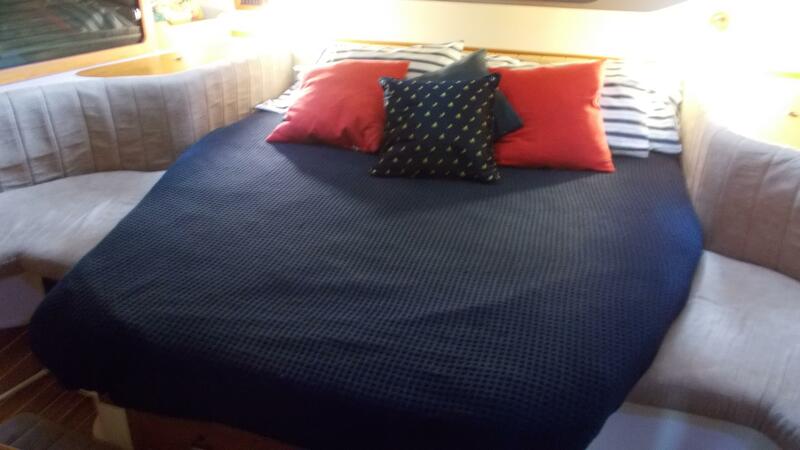 The salon table converts to a third queen sized bed. 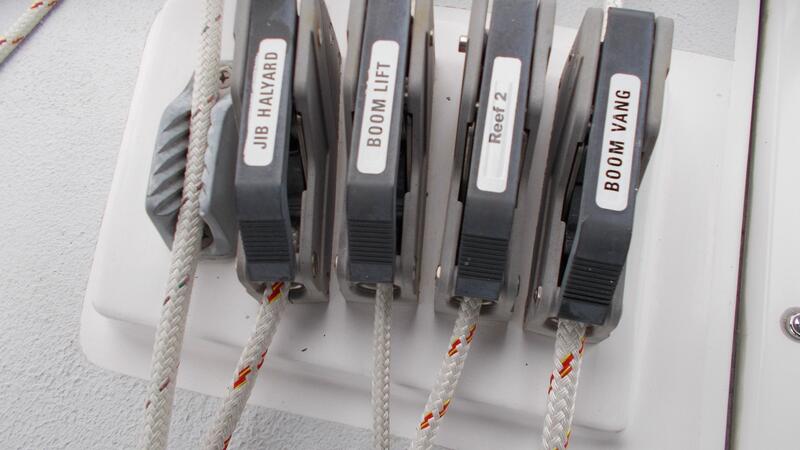 Misc spares; including filters, hoses, clamps, lines, repair items. 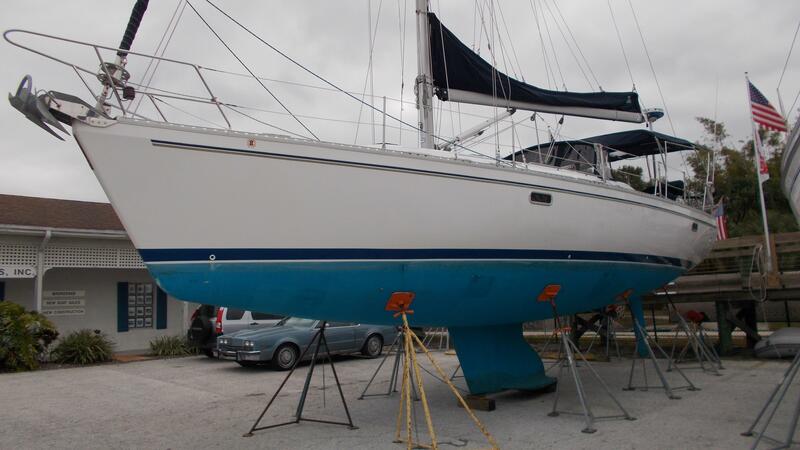 Engine spares include, starter, water pump and alternator. 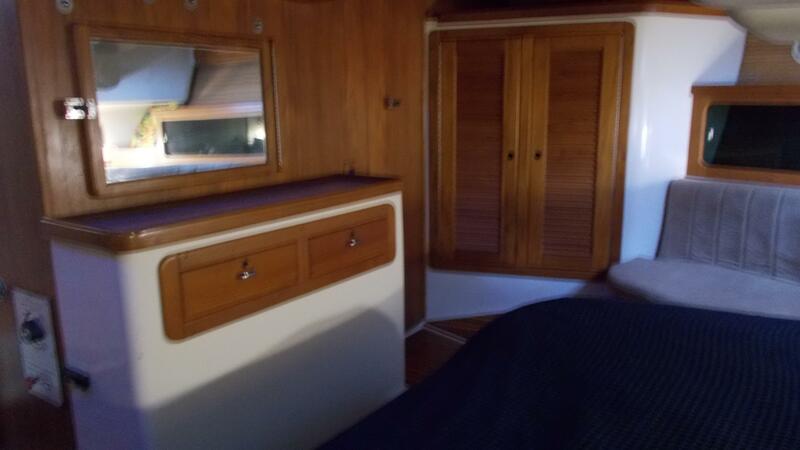 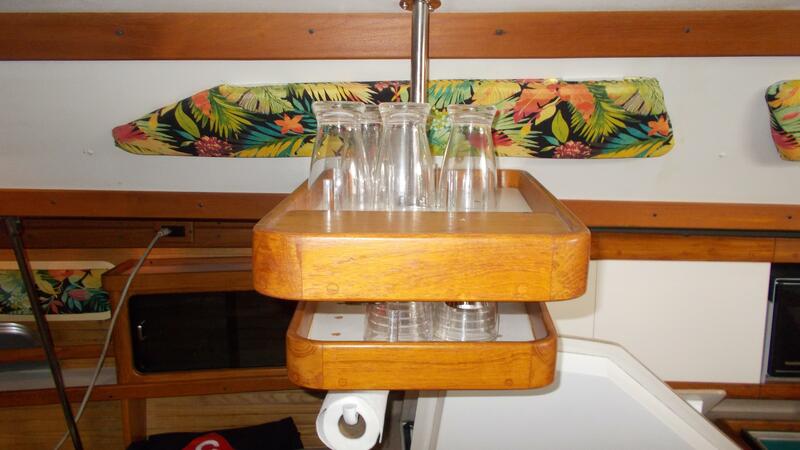 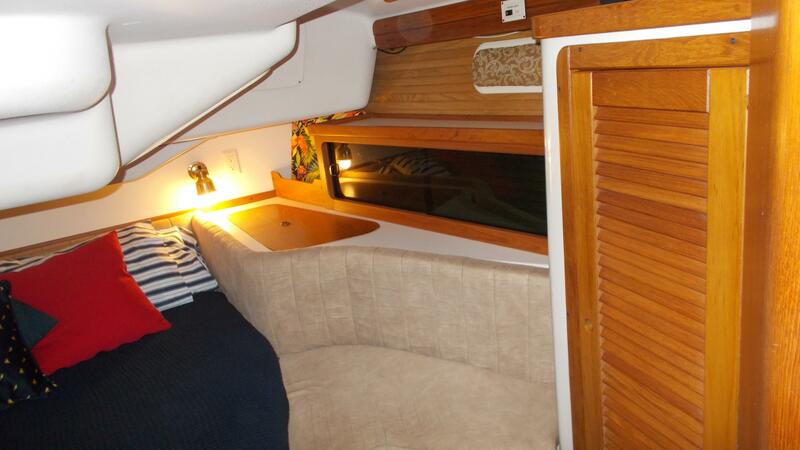 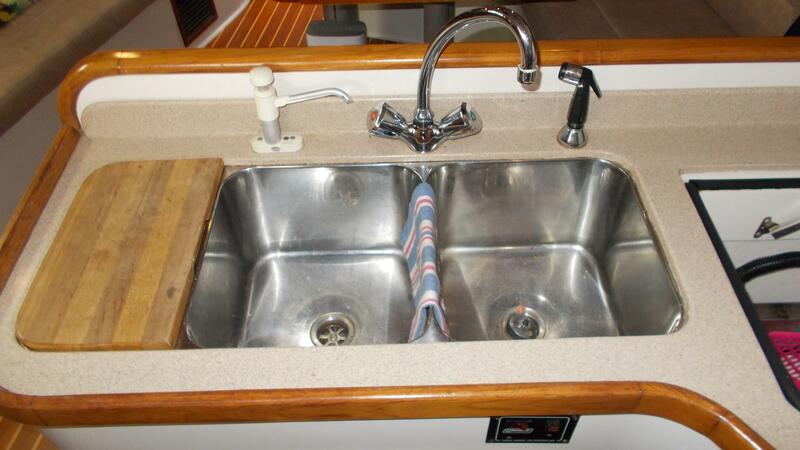 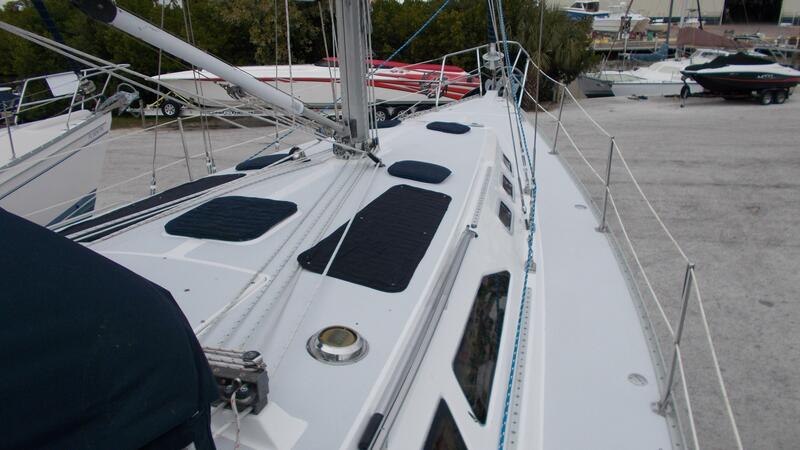 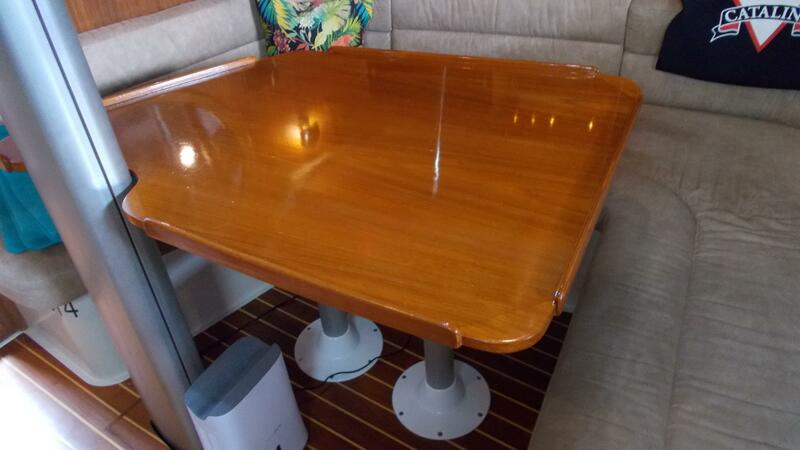 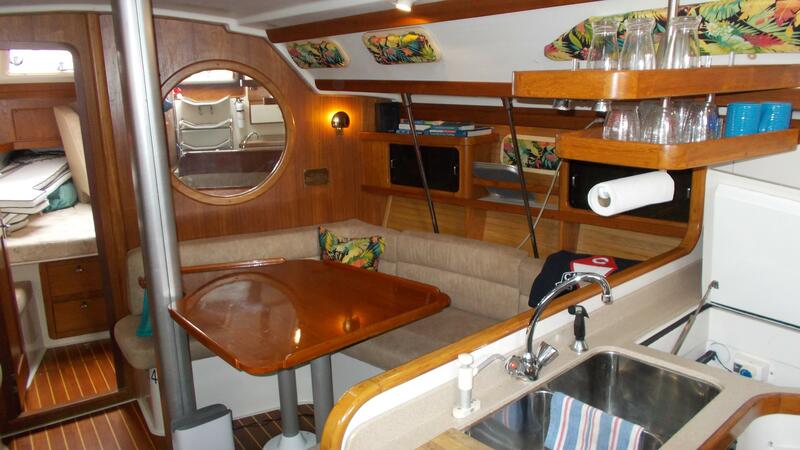 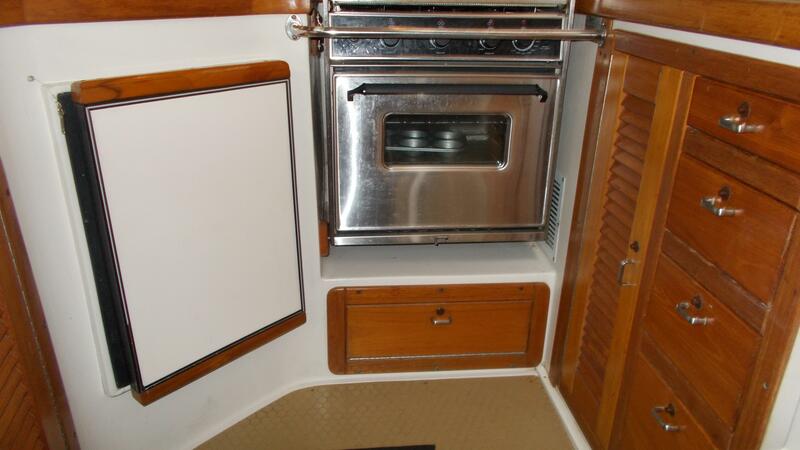 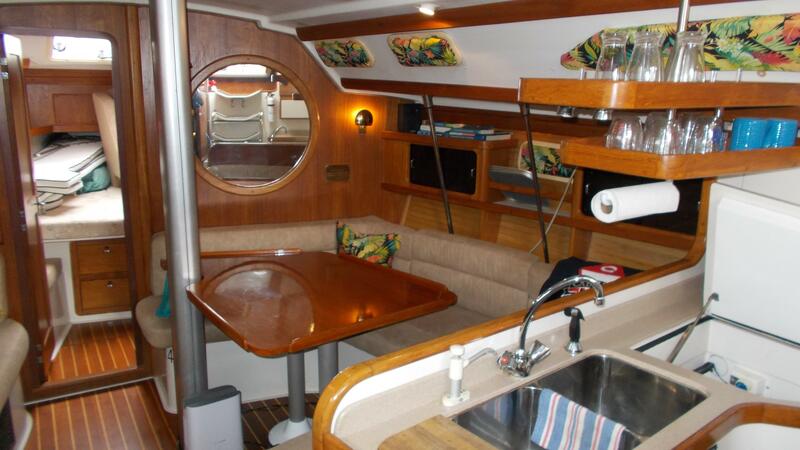 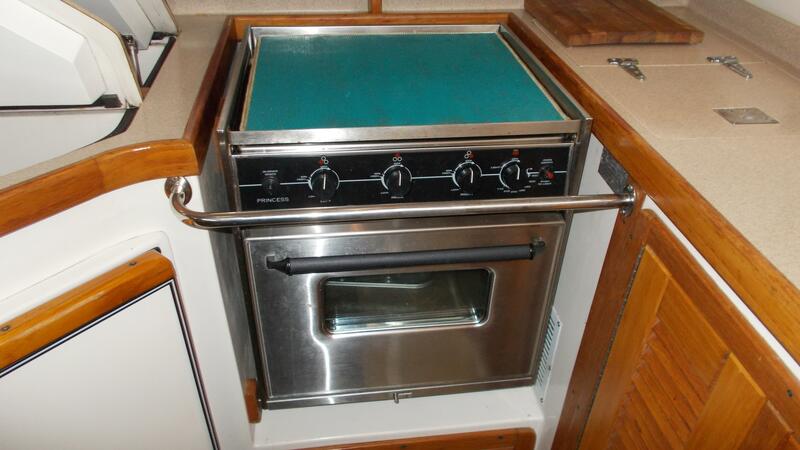 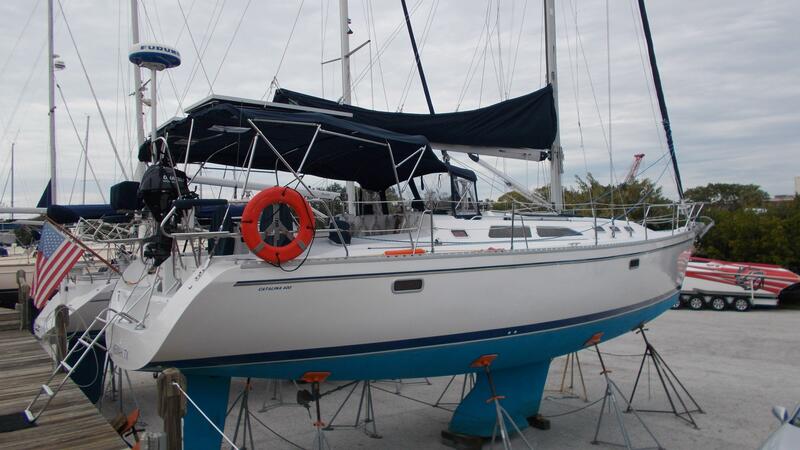 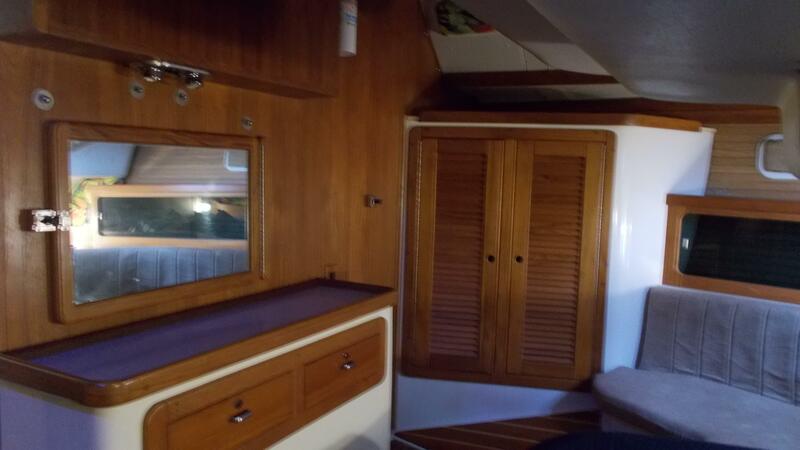 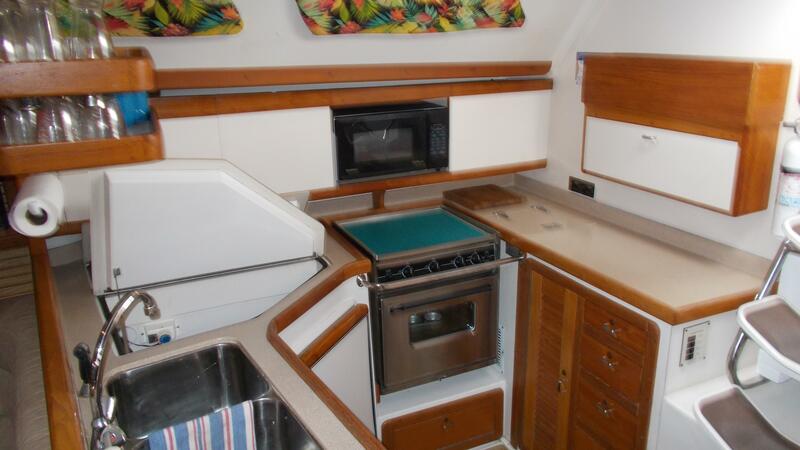 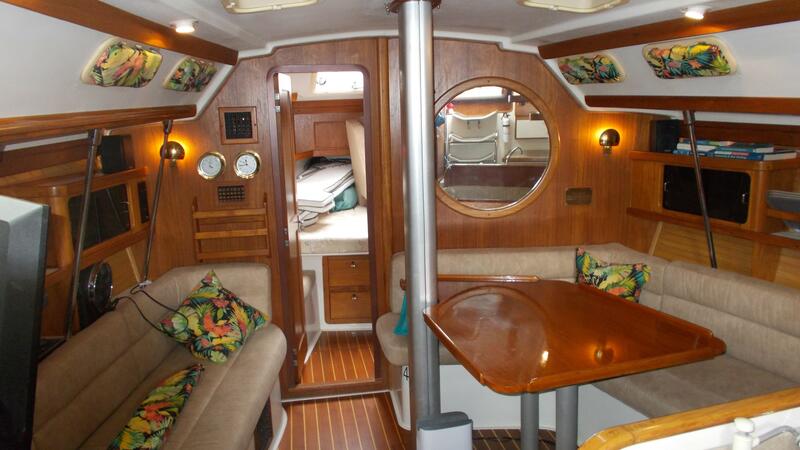 She is upgraded and ready for cruising and would make a great live-aboard.